Back in September of 2012, we interviewed Michele Sofisti, the recently appointed CEO of the Sowind Group and – Girard Perregaux and JeanRichard. Mr. Sofisti assured us that great things were on the horizon for both brands, the latter of which is undergoing major changes from logo to design to brand positioning. Indeed, exciting things are on the horizon at BaselWorld, but we don’t have to wait until then to introduce a great piece currently available. 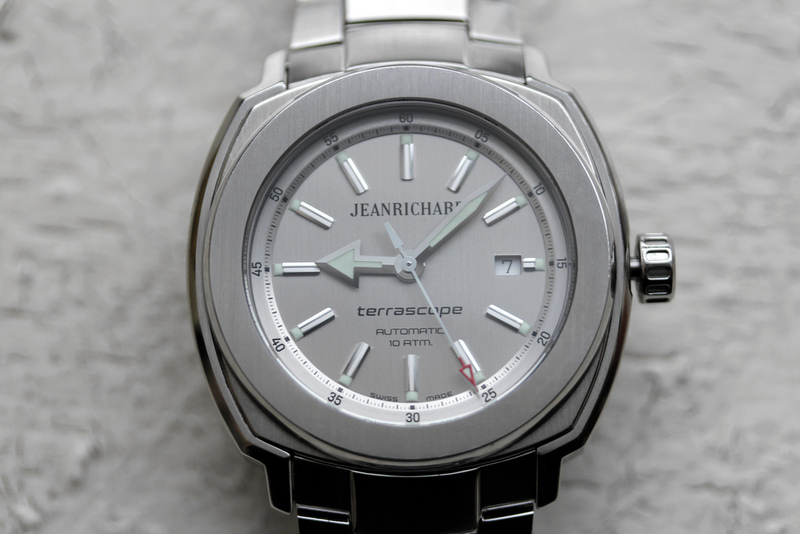 The JEANRICHARD Terrascope is that piece, and we recently had the opportunity to strap one on for a week in New York City and see what its all about. Identified by the manufacturer as having “the earth is its realm,” the Terrascope was designed as an explorer’s watch, and named accordingly. However, with strong design cues suggesting other-than-terrestrial orientation, we can’t help but feel that from a design perspective it takes most of its cues from iconic diver’s watches. Specifically we are talking about Gerald Genta’s mid 70’s masterpiece – the Patek Philippe Nautilus. With a similar steel cushion shape design and a brushed/polished bezel, the homage is immediately noticeable. And when it comes to something like the Nautilus, that is rarely a bad thing. However any similarities to the Patek end with basic case design. Unlike the Nautilus, the Terrascope isn’t destined for dainty wrist ornamentation. It is a brute of a piece, hefty in size and weight. Measuring in at a substantial 44mm wide and 12.60mm thick with its cushion-case design, it certainly makes a statement on the wrist, and feels ready for some serious wear. Unfortunately, its dive-watch looks bely its actual aquatic capabilities, having a water resistance of only 100M. For serious wet-wear usage and water-resistance to 300M, you’ll have to step over to its cousin in the lineup – the Aquascope. The Terrascope model we reviewed had a polished/brushed satin steel case with a silver dial and a stainless bracelet with deployment clasp. It is also available with a black dial variant, or a two-tone steel and rose gold case with blue dial. There are also rubber and leather strap options. The bracelet is vastly superior in design and comfort to some of JeanRichard’s fabric straps that we’ve tested, and despite its heft and size, it wears very comfortably even on a smallish wrist. The crown is located at a traditional 3 o’clock position, and rounded edges on the case means that despite its size, there is nothing digging into your wrist. The dial is clean and uncluttered, featuring a non-magnified date function at 3, an outer track with 1/5 second markings, and polished hour indexes with luminescent plots. 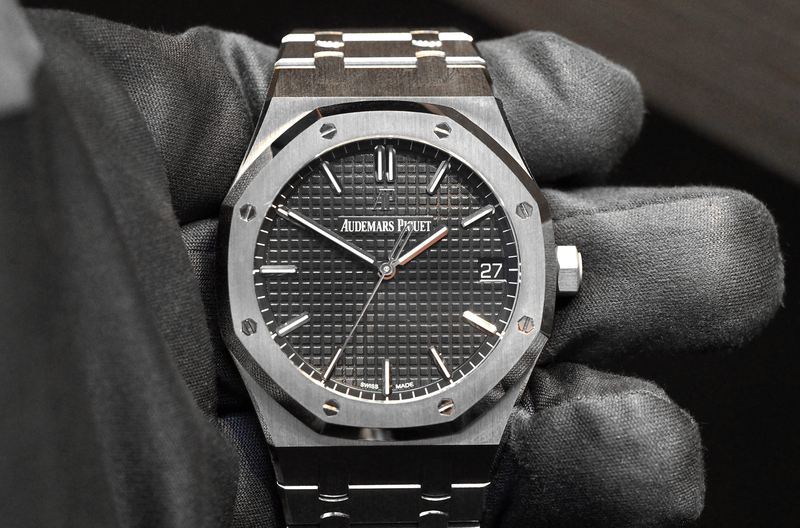 The rhodium-coated hands are just about my only complaint on the overall design of the piece. While the minute hand is a svelte sword design, the hour hand is a large and relatively ugly arrow design. While the size of the hand may aid in reading the watch in darkened conditions, it actually blocks off large portions of the dial as it sweeps, and doesn’t seem necessary. The second hand is tipped in red and all three hands have luminescent finishing. The crystal is a sapphire with an antireflective coating, giving the dial a very clean and crisp look within the brushed bezel. On the inside, the Terrascope is powered by the JeanRichard JR60 self-winding movement, which has a frequency of 28,800 vibrations hourly, 21 jewels and a 42 hour power reserve. 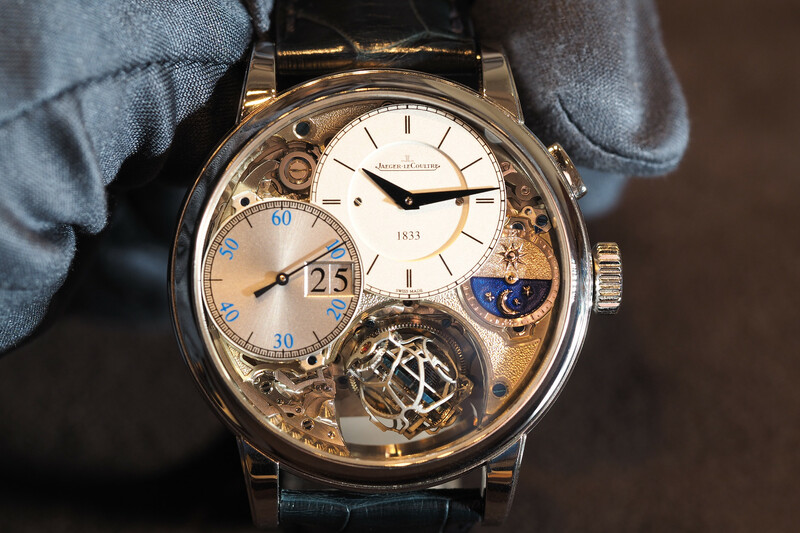 I admire their restraint in finishing the watch with an engraved case back instead of a display back – which is becoming “de rigeur” for sports and tool watches despite lack of any true function. 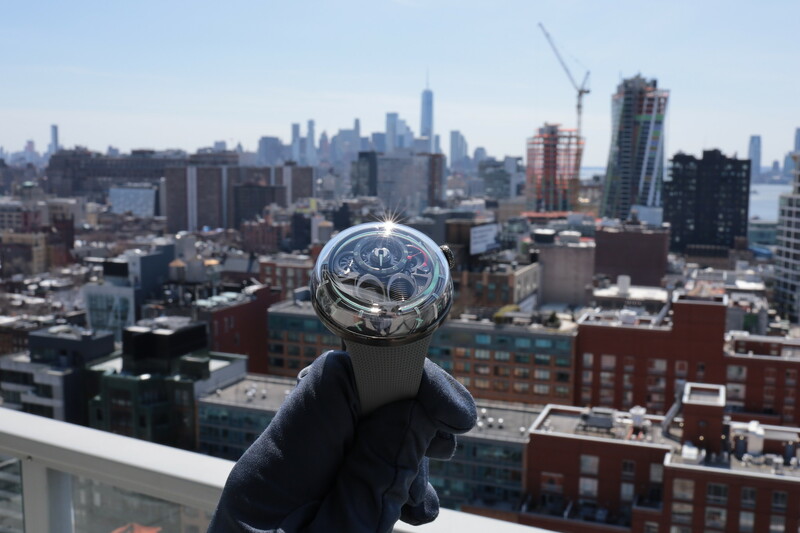 Overall, the Terrascope is a handsome, sporty piece with a fresh take on an iconic design and an in-house movement with a price tag of only $3500. I was impressed by the quality of construction and design, and look forward to the new models and branding coming from JeanRichard in the coming year.